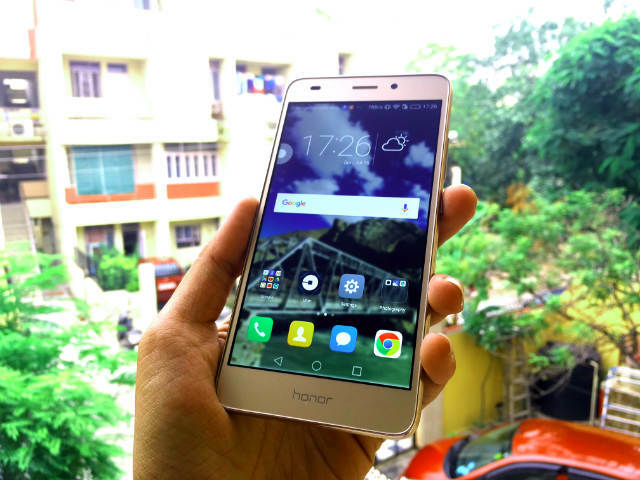 A few months back, when we reviewed the Honor 5X, there were a number of aspects that we did not entirely appreciate. The device had notable stutters, the camera was not class-leading, and even its overall build quality, despite being all-metal, was nothing worth majorly appreciating. 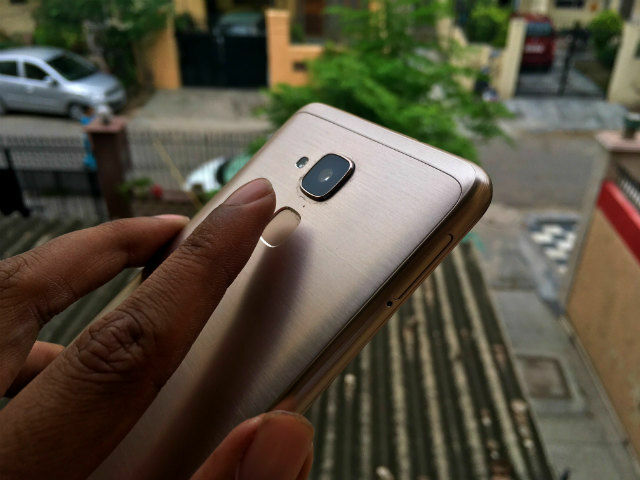 Quite a few months have passed since then, and budget smartphones raised the bar beyond what was seen before, with the likes of Xiaomi Redmi Note 3 and LeEco Le 2 leading the rise. The Honor 5C here is testament to the improvement, and the effort that brands are now putting behind making value-for-money devices that are more than worthy of being recommended. In stark comparison to the Honor 5X, Huawei’s Honor 5C now presents a better metal build, a slightly different design, and a lot more worth being talked about. 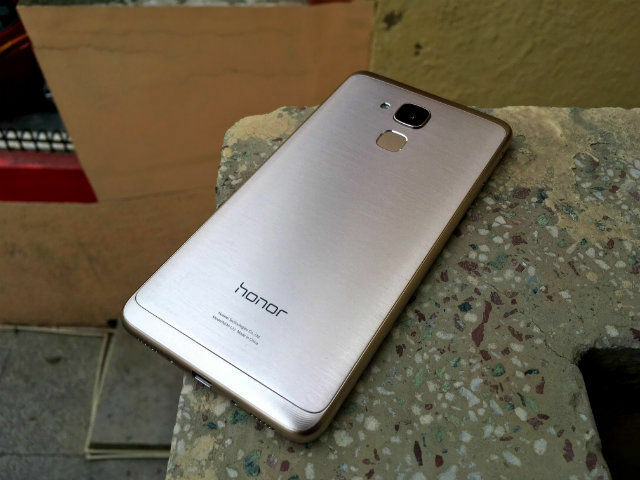 Let’s look at Huawei’s latest budget smartphone, the Honor 5C, in more detail. The Honor 5C essentially uses a similar build chassis, but with a different design statement that feels refreshing in face of the competition. The Honor 5C features rounded edges on the sides and the rear, making the device easy to hold. The form factor also makes it smaller than many other devices around, although the bezels around the display could have easily been slimmer, effectively making the device even smaller. 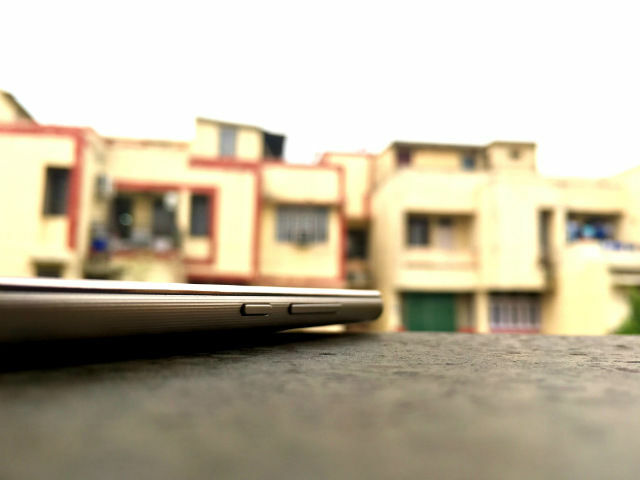 It is 8.3mm in thinness, and weighs 156 grams. All of these factors combine to make the device fairly ergonomic, easy to hold and operate, although nothing about it is really noteworthy. The quality of metal used in the build feels much better than what was used in the Honor 5X, and the striated metal panels to the top and bottom of the rear panel add to the overall design of the smartphone. The striated lines run along the sides too, which add to both design and ease of grip. The standard arrangement sees the volume rocker and power/unlock button to the right, dual-SIM tray to the left, 3.5mm audio port on top and microUSB at the bottom. The buttons offer decent feedback, and do not feel flimsy in any manner. The dual-SIM tray houses one dedicated SIM slot and one hybrid SIM and memory card slot, using which you can expand the storage by up to 128GB. To sum up, the Honor 5C features decent build quality, a slightly different design and convenient ergonomics, all of which combine to make it a device that is easy for one-handed typing, or stowing away inside trouser pockets without having to be conscious. The 5.2-inch IPS LCD display features screen resolution of 1080x1920 pixels, which is what you would expect from a budget device, these days. 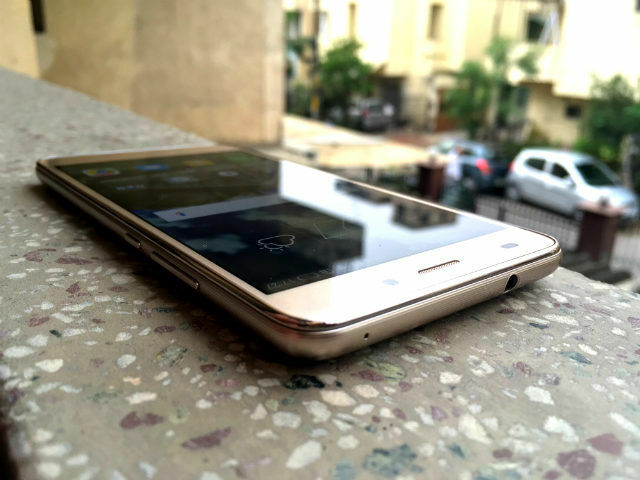 The display panel on the Honor 5C is amply bright, alongside being fairly sharp and vibrant. The colours do not pop, but still seem very well-balanced and optimum for viewing video content. The colours are not oversaturated here, but have a sharp, vibrant characteristic that are pleasant to view. Brightness levels are good, and the screen remains legible under direct sunlight. The only qualm here is the lack of screen protection on the Honor 5C, which leaves it susceptible to scratches or incidental damages. The touch response is fairly decent, although there are a few missed taps and swipes every now and then. This may not affect your everyday usage, but does have an impact when you play games like Basketball and Stack. Huawei’s EMUI v4.1 provides custom icons, no app drawer and no curated content feed, keeping the layout reasonably clean and convenient to use. There are a few small but useful tricks here, like a blur slider for your wallpaper. It may seem insignificant, but is actually a nifty addition to keep your icons prominently visible, no matter how colourful a wallpaper you choose. Overall, it is reasonably light, although even without any apps running, I never spotted more than 950MB of RAM free (more on this later.) The Honor 5C runs on Android Marshmallow, and you get all the goodness of it out-of-the-box. The Honor 5C is powered by Huawei’s custom HiSilicon Kirin 650 SoC, which has two clusters of Cortex-A53 cores arranged in big.LITTLE architecture, clocked at 2GHz and 1.7GHz respectively. It is built using 16nm FinFET fabrication process, and is accompanied by an i5 co-processor to aid lightweight tasks, and a Mali-T830 GPU that the company claims will offer 100 percent better performance over its predecessors. The device also comes with 2GB of RAM, of which I have never spotted more than 950MB free. This is just a number, though, seeing that the device performs fairly smoothly. Apps that you would use on a regular basis, like WhatsApp, Facebook, Snapseed, Gmail and the likes, all load without any glitch, although there is a notably consistent sluggishness with the device. It is not exactly slow, but does not offer flawlessly smooth performance that the likes of Snapdragon 650- and 652-powered devices offer in this price range. On an overall note, it is fast enough to serve your daily email, calls, notes, messaging and browsing quite easily. Browsing with Google Chrome on the Honor 5C with more than five other apps open leads to noticeable delays in switching between tabs and slightly halted scrolling. Even when it comes to gaming, the Honor 5C fares much better than its predecessor, the Honor 5X. Performance is notably improved, and is actually quite decent for occasional gaming even with heavy games like Asphalt 8, Injustice: Gods Among Us and Dead Trigger 2. Lightweight games like Stack, Jetpack Joyride and the likes run almost without any glitch. However, with heavier games, there are sudden stutters that halter the gaming experience. The benchmarks are an apt representation of how the smartphone falls behind in terms of performance, but still retains a decent face. Despite having only 2GB of RAM on board, the device fares reasonably well, owing to the octa-core processor and the co-processor on board to tackle lighter background tasks. The fingerprint sensor is blazing fast and very accurate, and you can even use it to scroll down the notification panel, capture a photograph or dismiss pending notifications. The added functionalities make the device more convenient on overall terms. Call quality is good - there were no unusual or frequent network drops, and the quality of audio from the earphone is decent. Network retention is also decent, and the device retained 3G in areas where iPhones usually switch to 2G. The integrated speakers offer loud audio, although the quality of it is not one to boast of. There is no real diversity of frequency ranges, and the overall audio has a hollow, tin-like ambience to it. It may be loud, but it isn’t any portable speaker on its own. The 13-megapixel rear camera is paired with a 5-element, f/2.0 lens to serve your primary smartphone photography needs. Huawei provides ample options to toggle around with manual and automatic presets to help finding the perfect shot. By default, it is set to complete auto shooting at 13-megapixel 4:3 resolution. For 16:9 aspect ratio of photographs, you get 10-megapixel photographs. There are separate Pro modes for shooting stills and videos, offering you manual control over metering, white balance, shutter speed, exposure compensation, ISO and focussing. The Honor 5C shoots bright, vibrant, well-balanced and sharp photographs under daylight or amply lit conditions. Colours are reasonably close to source, the level of noise in daylight shots is very low, although the saturation levels are a tad too low in automatic modes, leading to photographs looking slightly bleak, particularly under overcast conditions. This can easily be sorted in manual shooting, but for the most part, you will find yourself shooting in instant auto, which is not too bad. Photographs under low light conditions, as expected, do appear slightly soft, although they fare very well with retaining originality of colours. The camera attempts to reduce the level of noise, because of which subjects appear slightly soft here. That, though, when under soft tungsten light, does add to the essence of the photographs. The camera itself, with its shutter response, seems to be a tad slow, which is the only real deterrent in an otherwise appreciable smartphone camera. It is not extremely slow, but takes more than one second to save a photograph shot in standard mode, which, in the present day, qualifies as ‘slow’. The 8-megapixel front-facing camera fares reasonably well, too, producing reasonably sharp photographs as long as you place it under ample light. One good aspect is the in-built photo editor, which will aid selfie enthusiasts and social media shutterbugs. The Honor 5C offers enough battery stamina for you to last your entire day of work, with more than light usage. For instance, with about 50 emails, 90 minutes of calling, plenty of messaging, 15 minutes of GPS-enabled navigation, 10 minutes of using the camera, 20 minutes of gaming, one hour of streaming music and half an hour of streaming videos, the device lasts from 10am to 9pm, and still retains about 20 percent charge after the 11-hour day out. You will ideally need to charge it every night, although you can use it for another 30 minutes of streaming music and 15 minutes of navigation, along with more emails and calls. All of this adds up to nearly a day and half of real world usage, which is quite decent a result for the Honor 5C. Our benchmark tests suggest a screen-on duration of 9 hours, 54 minutes and 30 seconds, which itself is fairly commendable. The Honor 5C is a neat, simple and easy to use smartphone, offering decent performance for the average user, a good camera, good battery life, build, design, and there is nothing about this smartphone that is majorly disappointing. At Rs. 10,999, it is a fairly decent smartphone to consider. Sure, at Rs. 11,999, you do have the LeEco Le 2 and Xiaomi Redmi Note 3, both of which happen to be better performers. The Honor 5C happens to be the more ergonomic one of these three, so if you are looking for a compact smartphone with a good display, decent performance and camera, the Honor 5C is a very good smartphone for you to consider.